MCCORMICK, SC, October 03, 2018 — Marquis Who's Who, the world's premier publisher of biographical profiles, is proud to present Frederick Muller with the Albert Nelson Marquis Lifetime Achievement Award. An accomplished listee, Mr. Muller celebrates many years' experience in his professional network, and has been noted for achievements, leadership qualities, and the credentials and successes he has accrued in his field. As in all Marquis Who's Who biographical volumes, individuals profiled are selected on the basis of current reference value. Factors such as position, noteworthy accomplishments, visibility, and prominence in a field are all taken into account during the selection process. 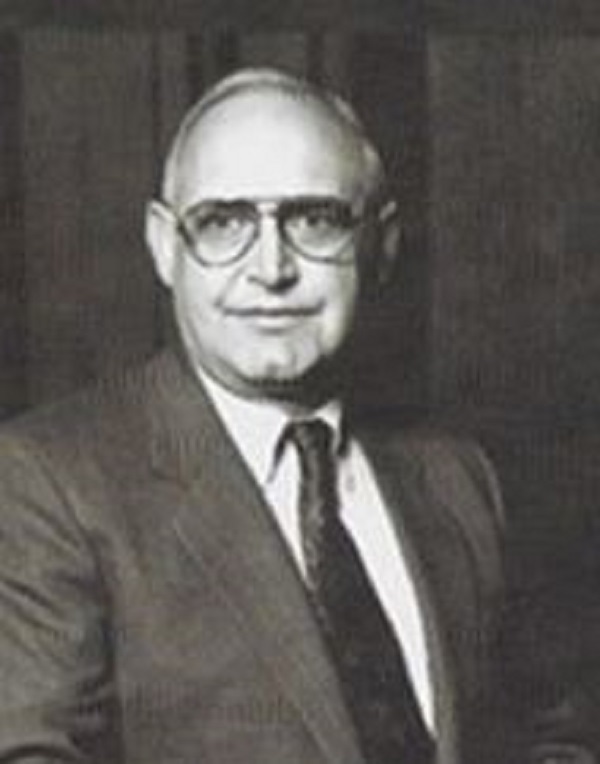 Mr. Muller began his career as Senior Law Clerk to a Judge of the New York Court of Appeals from 1968 to 1969. Following this appointment, he was an associate at Hodgson, Russ, Andrews, Woods & Goodyear, now known as Hodgson Russ LLP in Buffalo, NY, from 1969 to 1972. During 1972, he was also Senior Law Clerk to a Judge of the New York Court of Appeals. From 1973 to 1982, he served as the Assistant Consultation Clerk for the New York State Court of Appeals. In this post, he reviewed the opinions of the seven Judges, he attended the confidential Conferences at which the Judges decided the appeals, recorded the Judges' votes and assisted in the release and publication of the Judges' opinions. Mr. Muller also prepared and printed the New York Court of Appeals confidential Digest of Internal Judges' Motions and Case Reports, known as the Court of Appeals Arcanum. This was a primary research source for the seven Court of Appeals Judges. Also in 1973, Mr. Muller served as consultation clerk to the New York State Judicial Conduct Commission. After this service, the New York Court of Appeals appointed Mr. Muller to the position of Deputy State Reporter for the State of New York from 1982 to 1990. Mr. Muller concluded his career as the 23rd State Reporter for the State of New York from 1990 to 1998, publishing 137 volumes of the Official New York Reports, Appellate Division Reports and Miscellaneous Reports. In this statutory position, Mr. Muller was responsible for determining which lower court opinions were selected for publication. He published all New York Court of Appeals and Appellate Division opinions. His name was printed on the spine of each Official Reports printed bound volume, and his name and title was listed on the Title Page of each bound volume. Upon Mr. Muller's retirement in December 1998, the New York Court of Appeals Judges published an Official Tribute to Mr Muller at the front of Official New York Reports volume 92 NY2d at Pages xv-xvi. Mr. Muller's Official Biography and Photograph are published in the book Celebrating 200 Years of New York State Official Law Reporting (2004), and are included in the Official New York State Archives. Mr Muller was a member of the Advisory Committee to the University of Chicago Manual of Legal Citation known as the “Maroon Book”. Mr. Muller was co-author of the Judicial Opinion Writing Manual published by the Appellate Judges Conference, Judicial Administration Division of the American Bar Association (1991). He was Editor of the New York Official Reports Style Manual in 1985, 1987, 1992, 1996 and 1997. Mr. Muller was a Charter Member of the Association of Reporters of Judicial Decisions, serving as its Secretary, Vice President and President (1990-91). Mr. Muller was a Member of the American Association of Law Librarians (AALL) Task Force on Citation Formats whose 1995 Report is published at 87 Law Library Journal 582 (1995), and Mr. Muller's Dissenting Opinion (87 Law Library Journal at pp 624-631) was approved by the New York Court of Appeals and the Association of Reporters of Judicial Decisions. Mr. Muller was a member of the Board of Directors of the American Judicature Society from 1996 to 1997. Prior to embarking on his career, Mr. Muller obtained a Bachelor of Arts at the University of Rochester in Monroe County, NY, in 1960. Following this accomplishment, he earned a Doctor of Jurisprudence from the University of Chicago in 1963. He was admitted to practice law in the State of Illinois in 1963 and the State of New York in 1964. Mr. Muller was further admitted to practice law before the United States Court of Military Appeals in 1965, and the United States District Court for the Western District of New York in 1971. In addition to his court and publishing career, Mr. Muller served with the Judge Advocate General's Corps of the United States Air Force in the rank of Captain from 1964 to 1967. During this time, he was chairman of the supervisory committee of the Stewart Air Base Federal Credit Union from 1964 to 1965. He also served as a Staff Judge Advocate and NATO Foreign Trial Observer in the Middle East. Mr. Muller was a member of the New York State Bar Association. He served with the United Way of the Greater New York Capital Region from 1975 to 1980. He also served on the University of Chicago alumni schools committee from 1984 to 1989, and on the board of directors in 1986. Mr. Muller was a delegate to the South Carolina Democratic Convention in 2002 and 2004. Mr. Muller has been Chairman of the Board of Real Property Assessment Appeals in McCormick County, SC since 2004. He served as Vice Chairman of the Savannah Lakes Village Special Tax Commission for the Sandy Branch Fire Department in South Carolina from 2010 to 2014. Mr. Muller has been inducted into the honor societies of Phi Delta Phi and Phi Beta Kappa. He has been honored in “Celebrating over 200 Years of New York State Official Law Reporting,” published in 2004. Mr. Muller has previously been selected for inclusion in multiple editions of Who's Who in America, Who's Who in American Law, Who's Who in the East and Who's Who in the World. In recognition of outstanding contributions to his profession and the Marquis Who's Who community, Mr. Muller has been featured on the Albert Nelson Marquis Lifetime Achievement website. Please visit www.ltachievers.com for more information about this honor.